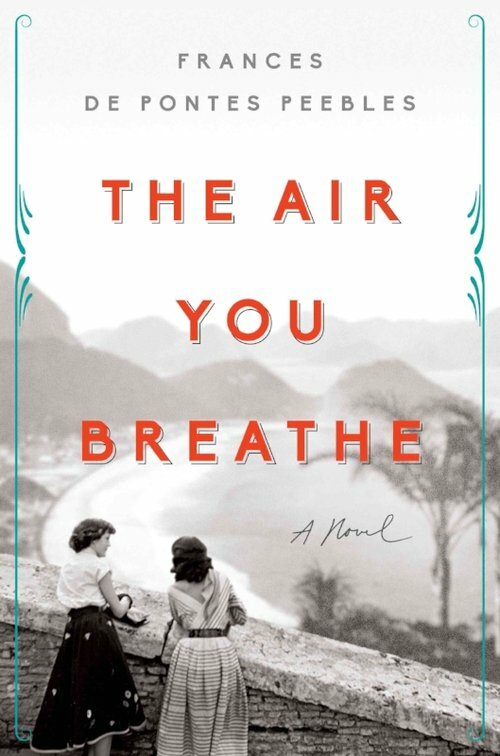 Frances de Pontes Peebles is the author of the new novel The Air You Breathe. 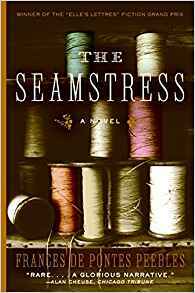 She also has written the novel The Seamstress. Q: Some reviews of The Air You Breathe call the story a fictionalized version of the life of Carmen Miranda. What did you see as the right blend between the fictional and historical as you wrote the book? A: I love taking inspiration from actual historical figures and creating my own fictionalized versions of them. Doing this allows me a wider narrative scope. I try to stay true to the broader historical context surrounding the characters’ lives (World War II, for example, or Los Angeles during Hollywood’s Golden Age) but their emotional trajectories are mine to mold. A: Dores, the narrator, is a songwriter and lyricist. 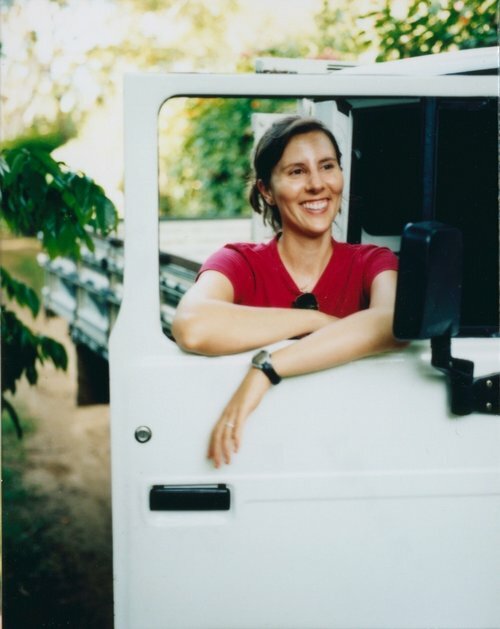 When she recalls her life, she recalls the songs inspired by a particular period or event. So each chapter in the book begins with a song that represents a certain time in Dores’s life. “The Air You Breathe” is the first song she writes in a samba circle. The title also represents how important music, and her relationship with Graça, are to Dores. They are the air she breathes. A: In our culture we glorify romantic love as the pinnacle of any relationship we could ever have, as if the primary relationship in our lives needs to be a romantic one. What I hoped to demonstrate in this book is how many other forms of love exist, and how they can be just as important (if not more) as a romantic connection. There is the love between friends, love of art, love of work, parental love, physical love, self love, and on and on. These kinds of interactions do exist, but I don’t believe they are the norm between women. Yet most female relationships in film and media are characterized this way. Why? Onscreen, in books and in magazines women are seen as undercutting each other in the hopes of gaining supremacy and, ultimately, male attention. I think this is a dangerous perversion of female friendship largely created by men’s impressions of women, and not by women themselves. In reality, female friendship is quite important, supportive, and life sustaining for most women. The bonds between women run deep. The book’s primary relationship is between Dores and Graça. There are men and other women, of course, but the focus is on these two friends. Their friendship is quite passionate and, at times, it crosses the boundaries of friendship into something broader, into another kind of love. Their bond is also complicated and imperfect. Sometimes they do each other more harm than good. There is jealousy and ambition between them, but ultimately there is love. A: When an idea is new it is fragile. It shouldn’t be shared too widely or put up to public scrutiny. It needs time to grow strong. Also, my ideas change so much between their conception and delivery into the world that they often don’t even resemble themselves by the time I’m finished writing. So I don’t give specifics on new work. I do feel very fortunate to have an idea, and thankful for its patience with me as I attempt to decipher it. I hope to share it with readers one day.